A selfie is basically a photo that one takes of oneself and posts on social media to share with family and friends. Do you find yourself taking selfies wherever you go or of whatever you’re doing? Would you say you are caught up in the world of “selfies’? Do you think taking “selfies” would be something Jesus Christ would do if He was alive in our modern era? Posted in Christian Living | Friday, 25 March 2016. Do you try to live a Christian way of life? Or at least a ‘Christian-looking’ way of life? Have you surrendered your life and will to God, or do you still hold on to ‘underground agendas’ which only serve to give an appearance of empowerment. What does real submission to God look like? Read Samantha’s personal journey on this topic. Posted in Christian Living | Friday, 07 August 2015. You may have seen the iconic Aussie movie, Strictly Ballroom -- but do you remember the movie's slogan: Vivir con miedo es como vivir en medias? Do you know what this means in English and how might this slogan affect your walk with God? Posted in Christian Living | Friday, 26 September 2014. Can we entertain sin in our lives? Surely, just a little can't be that bad! Should we really be concerned about sin? Does any good come from it? Or is sin our enemy which must be defeated? Posted in Christian Living | Friday, 05 September 2014. Is polygamy acceptable to God? Is Polygamy sin? Does God command one thing but allow sin through polygamy? While polygamy was practised by some of the Patriarchs and was permitted by the oriental culture and civil laws of their times, it clearly was not the ideal marital relationship blessed and approved by God. It is not even an acceptable practice in many modern cultures that permit casual living together and easy-to-obtain divorce. God speaks and commands clearly against polygamy. Posted in Doctrine | Sunday, 03 August 2014.
Who among the most important people of this world - past or present - would you like your children to meet and have a relationship with? Lady Di? Mother Teresa? Mahatma Gandhi? How about God Himself? If you teach your children to pray, you are giving them one of the most precious gifts of all. You are setting their feet on a path towards the right and regular communication with their heavenly Father. Through which they have the special opportunity to develop a relationship with Him. So how can I teach my children to pray? Posted in Christian Living | Friday, 18 July 2014. For years a man sat in the way where people passed to the Temple. He was born crippled, and relied on the pity of those going to the temple to worship to offer him some token of kindness. It never occurred to him that he would receive a miracle of kindness. The Apostle Peter gave him all that he had. Why did Peter choose to heal the man on that particular day? We all need not only physical healing but also spiritual. Posted in Worshipping God | Friday, 11 July 2014. "To everything there is a season, a time for every purpose under heaven...a time to keep silence" says the Ecclesiastes. How can silence improve your relationship with God? 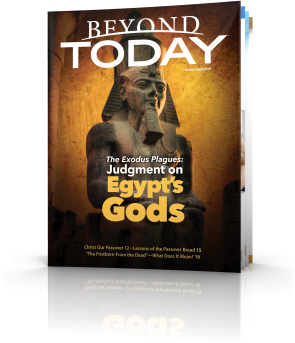 Posted in Christian Living | Friday, 23 May 2014. Most people don't realize that waging peace is more challenging than waging war! We have to work at peace – we must make it our goal and do all we can do to bring it about. Posted in General | Thursday, 24 April 2014. Last week I wrote about how physical observances help us to understand the depths of God's spiritual plan of salvation. It is important to really understand God's plan of salvation as pictured in the Holy Day seasons, so I would like to continue our journey and discuss some astounding truths. The first Holy Day season, Passover and the Feast of Unleavened Bread, is special in that it reveals and describes the two major steps a person must experience to attain eternal life. Posted in Doctrine | Friday, 18 April 2014. Good Friday is the day that the Christian world in general commemorates the death of Jesus on the Cross, and the resurrection of Jesus is celebrated on Easter Sunday. But was Jesus crucified on a Friday, and did He rise from the grave on Sunday morning? | Thursday, 17 April 2014. What will you be doing next week? Anything special? Or will next week be just like any other week? My family and I will be observing one of the most important commands of God. Next week begins God's Holy Day calendar with the Passover and Days of Unleavened Bread. Does God really require us to follow physical observances like these? Posted in Christian Living | Friday, 11 April 2014. The man knew it was to be soon. The results of His teachings and works astounded people at the beginning. But, slowly, things began to change. The storm clouds were brewing. At the beginning He was popular, new, refreshing. Lame people walked at His Word. Lepers were cleansed, the blind were able to see for the first time, loved ones were raised from their deathbeds, and good news was declared to them as it came from God. When Jesus came on the scene He preached a message of hope and deliverance. Posted in Doctrine | Friday, 04 April 2014. The carrot, the egg, and the coffee bean - which one are you? Posted in Christian Living | Monday, 17 March 2014. Forget unruly in-laws or irritating habits, research shows one of the biggest causes of marital discord is Australians hiding personal debt from partners. Is this a concern in your marriage? 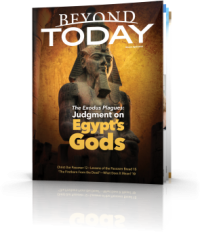 Posted in Christian Living | Friday, 07 March 2014. This is the fourth and final part of a series of blogs about the purpose of God's law. In this blogs I consider 3 more purposes of living by God's wonderful laws. * God's Laws were given for us in order to prevent sin. * Keeping God's Laws saves us from being ashamed. * God's Law has the purpose of showing us what is right and wrong - reward or failure. Posted in Doctrine | Sunday, 16 February 2014. The famous Irish writer Oscar Wilde once jokingly said, "I can resist everything but temptation." Most of us struggle with habits and even addictions that get the better of us over and over again. If we are trapped with such problems how do we break free? When we fall victim to sin we do so because we believe certain lies that accompany those sins. In order to be freed from sin we need to recognize those lies and counter those lies with the truth. There are a whole host of different lies and different lines that Satan uses on us to lure us into sin. Let's look at two of the most common lies as examples of this point of countering the lies of sin with the truth. Posted in General | Friday, 14 February 2014. Do you have ants at your place? Is there anything we can learn from ants? Does God provide spiritual instruction for us about ants in the Bible? Read on and see how God placed valuable spiritual lessons for us in His creation. Posted in Christian Living | Friday, 31 January 2014.
" ... many people pray without any sense of assurance that there is a living and powerful God who hears their prayers, or that they are praying to a God who has offered forgiveness for their sins ...." commented Barna from the George Barna research company. Posted in Worshipping God | Saturday, 25 January 2014.